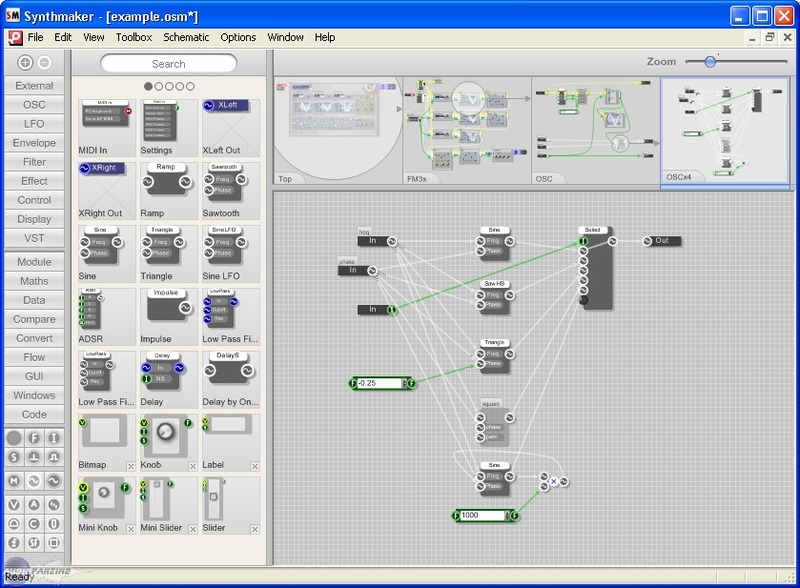 SynthMaker, Environment for audio development from Outsim. 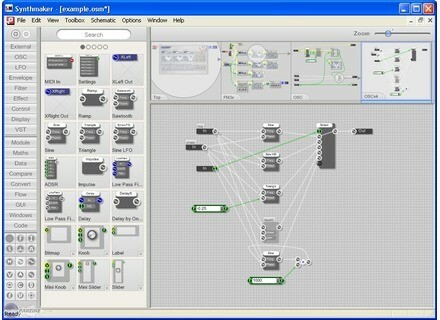 Outsim has updated SynthMaker to v1.1.4. This update supposedly focuses on VST plug-in compatibility - Outsim say they managed to isolate and fix a number of important stability issues. In particular, deleting SM generated plug-ins inside a host should now be much more stable than before. Fixed several memory issues that were causing crashes when deleting plugins in some host applications. Fixed a potentially large memory leak when loading bitmaps in SM and exported plugins and exes. Corrected a problem with Make Module where selections including Module Input or Output components could result in the wrong external connections being made or worse links could be dropped completely. Input buffers were not being reset correctly for ASIO In which was causing lingering audio glitches when switching between audio devices. Fixed a multithreading problem with the Is Playing component which was causing crashes and lock ups in exported VST plugins. Dance Midi Samples Albino Soundset DanceMIDIsamples has announced the release of its new soundset for Rob Papen's Albino synth. TeamDNR Synplantation Volume 1 TeamDNR has announced the release of Synplantation Volume 1 for Sonic Charge Synplant. Image Line Updates Sytrus Image Line has updated Sytrus to v2.6.6.